Commercial water heaters are becoming much more popular, in part because the hospitality industry has been so enthusiastic about getting on board. Read on to find out what has gotten them so excited, and then contact The Stanley Louis Company for help with commercial solar water heater repair or installation. The fact of the matter is that getting hot water through a solar water system is one of the most affordable ways to get hot water. What’s more, you can get it year round. If you are in a good place for solar, you can say goodbye to every paying to electronically heat your water again. Believe it or not, investing in a solar water heater is one of the best investments a company can make. Depending on usage, the system can pay for itself in reduced utilities as quickly as three to five years. The unit lasts for 30 years – or more! As you can see, it can quickly make up for the cost of installation. 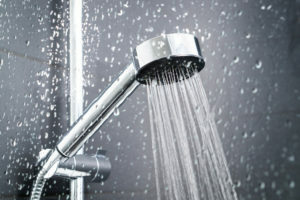 The sad truth is that a traditional electric water heater can emit as much as two tons of CO2 out into the atmosphere. On the other hand, solar water heaters only use clean power and their green house gas emissions are zero. This not only helps the company itself but is important today’s increasingly eco-conscious consumers. There are numerous federal and state tax credits that may apply to companies that move to renewable energy and installing a solar water heater may qualify. This could result in getting as much as 30% of the cost of the water heater back as a tax credit. Some experts believe that these water heaters will become the norm in the future, so it’s a good idea to take advantage of this tax credit while it exists. The simple truth is that there are both financial and ethical advantages to going greener. No company wants to be known as a company that increases smog, pollution, or greenhouse gases. With a relatively simple switch to a solar water heater, you can save money and help save the environment. If you are interested in making the switch, or you are construction a new building and are choosing a water heater, The Stanley Louis Company is here to help. We will go over all the options, offer quotes, and provide our best advice on what is likely to work for your location and your needs. Contact us now at 800-217-6527 to get started.